Outdoor fireplaces and fire pits have steadily made outdoor living spaces more inviting. Patio Creations has been working to bring many fireplace dreams to reality all across Sugar Land. 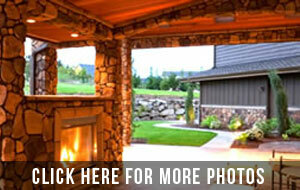 An outdoor fireplace has a wide variety of options. It can be built into an existing exterior wall, be a freestanding structure on a patio, or be incorporated into an outdoor kitchen. Meanwhile, the more compact fire pit can be constructed as a free-standing feature in any outdoor space to provide warmth and welcome. Fire pits can come in pre-fabricated kits running on gas or propane. Some can even be built with an additional feature for rotisserie and skewer cooking. A low cost, low profile, and space-saving solution for your heating needs, fire pits and fireplaces will always have a spot in any outdoor area. To learn more about your fireplace and fire pit options, contact Patio Creations for a no-obligation consultation!